This sermon is about the issues that show up in Unitarian Universalist churches time after time, and I suspect that something similar happens in other church, mosque and temple communities. I had a brother 15 years older than me, and when he was in his late teens and early 20s, except for the two years he spent with the Army in Korea, he was an aspiring nightclub entertainer. He sang and told jokes. So when he got married, started a family, moved out of the house and found other means to support himself, he left behind his collection of joke books. The jokes in them weren’t very funny, but it’s not like we had a lot of fine literature in the house for me to read. Until I was old enough to walk to the library, this was what I had. So I read and reread those joke books. One of the jokes I read was about a convention of comedians. Joe had invited his friend Bob to the convention. Bob had never been to one of these comedian conventions before, and he watched as someone stood up and announced “Number 1,482,” and everybody laughed. Then someone called out “Number 876,” and everyone laughed. Finally, someone called “Number 1,249,” and everyone laughed – but there was one guy off in a corner who laughed so hard that he was slapping his knee and holding his sides and turning red. Now, I told you these weren’t very funny, so don’t feel as though you have to laugh politely, but let’s label that Joke Number 999, and we’ll come back to it in a couple of minutes after I talk a bit about my involvement in church governance. In the last 25 years or so, I’ve been a member of four UU churches and actively involved in the governance of three of them. I’ve been on three church’s councils and two church’s boards. I’ve been the vice president of two churches and the president of one. In addition, I’ve been director, president and board member of UUMAC, the Unitarian Universalist Mid Atlantic Community, which gathers for a week once a year in Pennsylvania. I’ve been on the board of the Joseph Priestley District and of Beacon House, a settlement house run by a UU minister in Northeast Washington. I’ve been directly involved in hiring or calling about a dozen ministers, and three times I brought about the resignation of a minister – once by demanding it, once by requesting it, and once as an unintended result of a performance evaluation I conducted. I’ve welcomed scores – maybe hundreds – of new members into UU communities, and I have twice had the job of expelling someone from a UU community. I’ve watched as about 50 members of my church got mad and started a new church. I was the district’s board liaison to a large church going through a controversy that led to the firing of its minister. I have sat through hours and hours of circular arguments that never end. That’s why, after two years as vice president and board member of this church, I have decided to resign both positions. A year from now, when Ricky’s term as president ends, we will need to elect a new president. The vice president is a likely candidate to be nominated for that job, and I don’t think I’d be the right person for the church, or that the job would be right for me. The church community deserves someone fresher who can summon more enthusiasm. So I’ve told the board that I think the right thing for me to do is to resign with a year left in Ricky’s term. I’m glad to help where I can, but it won’t be as a board member or officer. 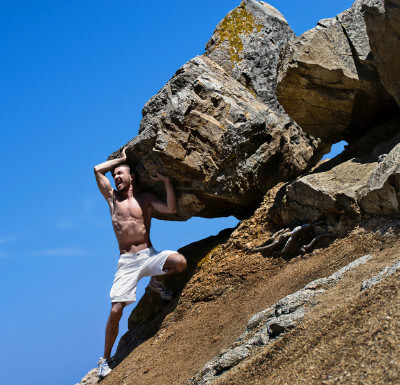 Like Sisyphus, church leaders keep pushing the same rocks uphill. However, I have a gift I’d like to leave to future generations of board members of UU churches everywhere, and this is where Joke Number 999 comes in. Because burnout is always a problem, and long meetings with endless arguments lead to burnout, I’d like to offer a catalog of the issues that UU churches cope with endlessly, along with the arguments on both sides. That way, in future board meetings, all the president will need to do is to put “Number 37” on the agenda, and everyone will understand the issue and both sides, and they can go right to making a decision without all the posturing. Just think of the time it will save! I can’t possibly get every often-repeated church issue into one sermon, so look soon for the book version coming to your supermarket’s bookshelves, but here’s where I’ll get a start. I’ll call growth Issue Number 1. In this church, when we were 30 members, there were people who feared we’d lose a feeling of intimacy if we got bigger. Now that we’re more than 70 members, you’ll hear the same thing. I heard that fear expressed at the Reston church, when it had about 200 members, and people at even larger churches hear it, too – up to about 600 members. The other side of that one is that there are more people in our community who need us, and we’d be selfish if we didn’t reach out to them. And it’s not the size of the community that makes it intimate; it’s the attitude of the people in it. So that’s Issue Number 1. The pro-growth side almost always wins that argument, but I know of one church of about 100 members that did vote not to encourage growth. It changed its mind a year or two later. Of course, having decided to grow isn’t the same as growing. There are far too many “how to grow” issues for this sermon. For those, you’ll have to wait for the book version. Issue Number 2 I’ll call the 80/20 rule: How can we break out of the mold that has 80% of the people doing 20% of the work and 20% of the people doing 80% of the work? Unlike the other issues, I do have the answer to that one and it’s a simple answer: Get over it! It’s true of organizations everywhere. And besides, a church often serves as a haven for those craving the comfort of a Sunday morning service or the camaraderie of a women’s group meeting without needing to do more. Of course, it doesn’t need to be the same 20% always doing most of the work. In fact, the church will develop better if the roles change. Like geese flying in V formation, church leaders need to sense when it’s time to drop back and let others take the brunt of the wind resistance. It takes faith for one individual to let go sometimes, but others will come along to take up the load. The only term I can think of for Issue Number 3 is internal paranoia. There’s often one segment of the church community that feels undervalued and unappreciated by the rest of the church, and it can lead to major tensions. This is sometimes the choir, feeling that if the rest of us really appreciated music we’d budget more for it and more members would come out for choir rehearsal. In a church with two services, it could be the people who attend the early service or the late service. This attitude is understandable for at least three reasons. First, the RE community does do a lot of work. Second, when people are teaching they’re not part of the worship ritual that helps a community bond. And third, parents with young children are less likely to have time to serve on the board, so they see themselves underrepresented. But if Issue Number 3 were entirely rational, I wouldn’t call it paranoia. I think I’ve heard it at every church I’ve been a member of. I’ve heard it at churches where the children go directly to their RE classes and are almost never present for any part of the adult worship service, and I’ve heard it here where the community has always included children in the early part of the service and where the church leadership has repeatedly made the conscious decision to keep the children in the service long enough to participate in joys and concerns. So when Issue Number 3 comes up, the church leadership can skip the argument over how true or untrue the allegation is and get right to improving the understanding between the group that feels left out and the rest of us. We can take Issue Number 4 and Issue Number 5 together, because they amount to the same thing. When and how do you ask people for money? When and how do you ask people to do volunteer work? On one side is the fear that, if you ask new members of the church community too soon to make a financial pledge or to join a committee or maybe chair a committee, you will scare them off. The other side of that is that some people want to be asked. They may feel unwelcome if they are not asked to be full participants in the community. My suggestion here is to dispense with the argument and ask people, but do it softly and respectfully, understanding once again that some come to church for what the community can give them – for what they may need at this point in their lives. If the asker truly believes that’s OK, it will come across to the asked. Issue Number 6 is the organizational structure. There’s wide agreement that board’s role is to set policy, but how exactly does that work and who handles the details that carry out the policy? There’s a concept talked about in the corporate world called the “soda machine syndrome.” The idea is that, if you have two issues on the agenda for a board meeting – a $5 billion acquisition and the decision on where to place the soda machine in the executive suite – it’s the soda machine that will take up the most time. That’s because people like to talk about what they understand and what’s fun. So the trick for UU church board members is to spend their meeting time on the tough policy issues and not who’s bringing the Old Bay seasoning to the crab fest. One model, for some larger churches, has the minister as the CEO, with all the staff and committees reporting to him or her. The board sets the goals and it’s the minister’s responsibility to take it from there. That might work for some ministers and some churches, but more often it’s understood that the many skills it takes to be a good minister don’t also make for a good CEO. So it’s up to the volunteer president and the volunteer board to decide on the organization chart and the processes. Many books have been written on models of organization for churches, but I believe strongly that the best model in the world will fail if people aren’t nice to each other, and the worst model will succeed if people are nice to each other. For a fuller discussion of all the different models for church governance, you’ll have to wait for the book version of this sermon. Issue Number 7 I’ll call UU flagellation. We love to beat ourselves up, and we don’t wait for Good Friday to do it. Why don’t we attract more black people, more Latinos, more poor people, more rich people, more gays, more straights? Why aren’t we more active and visible in the community? Why aren’t we a green sanctuary? 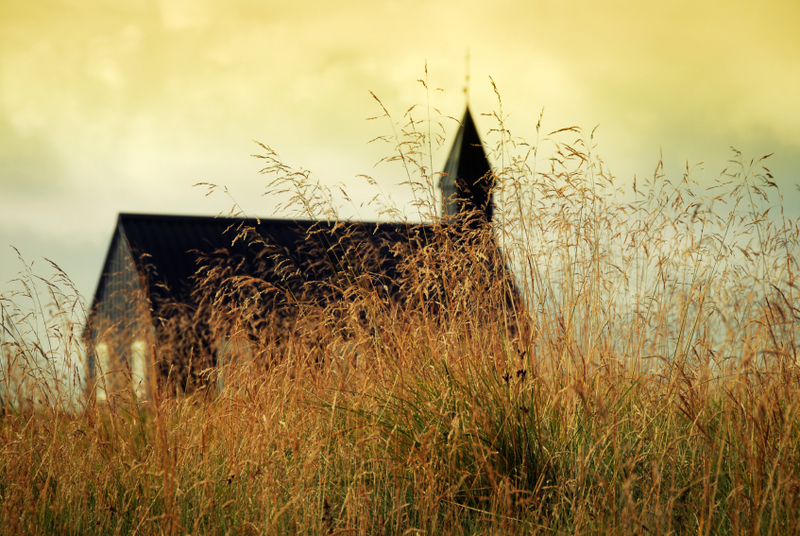 Why don’t more members participate in denominational activities? Why aren’t we growing? Here’s where the concept called “appreciative inquiry” comes in. The idea is that if you focus on the weak areas of an organization, that’s what you’ll find, and you’ll continue to be stuck there, so the route to constructive change is to focus and build on the strengths. Instead of asking why we’re not a green sanctuary, for example, we could seek out and support the individuals in the community who do good environmental work, and that just might lead to becoming a green sanctuary. But remember that we’re volunteers. We’ll only go where our enthusiasm and energy will take us. Issue Number 8 is what do we call ourselves? The word “church” may remind members of the oppressive institution they rejected, and it may not be welcoming to some groups, like Jews, Muslims, Buddhists, and so on. So some would argue we should call ourselves a fellowship or a congregation or another term like that. The other side of that argument is that our roots are in the Protestant movement, and it may be healing for some to be able to feel safe in a place called a church. Are announcements just for official church activities or also for some events that aren’t sponsored by the church, and if so who decides what’s OK to announce? Should we call it “Joys & Concerns” or “Joys & Sorrows”? Whatever we call it, do we want to reduce the number of more frivolous Joys & Whatevers, and if so how do we do that? Is it OK to applaud during a church service, and if not how do we discourage applause? Do we use terms like “God” and “prayer” and “amen”? How closely do we stick to the same litany every week? Is it OK to change around the order of things or leave out elements from time to time? If so, how often and how much? Can the service run longer than an hour? If so, what will the RE teachers do with the children? What about copyright laws? Is it OK to print in the order of service the words to a song or poem we don’t have written permission to reproduce? What every single one of these issues has in common is that the opinions about them are fiercely held. The bad news is that’s why some board and committee meetings go on so long, but there’s also good news in that, too. The fierceness with which we hold our opinions on these issues is evidence of how much we all care about our church community. If we didn’t care, we wouldn’t stay late and argue. If you’re new to church leadership, think of the last face in this video as yours. I will tell you a true story. We have a friend in an organization we belong to called the Society for Creative Anachronism. (It’s more or less about reenacting the Middle Ages.) We had a social event called bardic circle, in which each participant could tell a story, sing a song, recite a poem, do something they created themselves, etc., either with or without the accompaniment of alcohol. Our friend recited the same stories in bardic so often that he finally got to refer to them as story number 1, story number 2 and story number 3, and that’s all he had to say, and everyone would laugh. So now you see why I found some humor in your post.